The packages can be found here. Step 1) – Install Xubuntu 17.04 or your debian-based Linux distribution flavor with sudo installed. If everything is working, then congratulations! If not, you can ask in #compiz or #compiz-reloaded on chat.freenode.net or file an issue on github. The script set includes an uninstall script used to remove everything if needed. Run ./scripts/uninstall to use it. This version of compiz and other 0.8.x versions may conflict with any 0.9.x compiz, ccsm, emerald or other compiz 0.9.x components. DISCLAIMER: Not responsible for crazed kittens, disgruntled gnomes or volcanic paint eruptions. 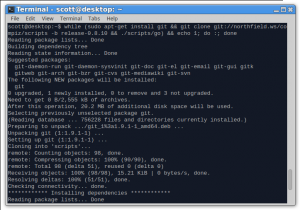 Step 1) – Install Xubuntu 15.10 or your variant of debian-based Linux distribution with sudo installed. If everything is working, then congratulations! You can add ‘gtk-window-decorator’ (without quotes) to ccsm>Effects>Window Decoration>Command field so gtk-window-decorator starts when compiz does. If not, you can ask in #compiz or #compiz-reloaded on chat.freenode.net. Enjoy! AUDIENCE: This information is targeted toward those familiar with Linux distributions and FOSS. INFORMATION: The script set includes an uninstall script used to remove everything. Run ./scripts/uninstall to use it. WARNING: This software and other 0.8.x versions may conflict with any 0.9.x compiz, ccsm, emerald or other compiz 0.9.x components. DISCLAIMER: Not responsible for unhappy camping, confused vulkans or exploding pixels. It took a bit of setup and cook time but compiz 0.8.10 tarballs are ready now including addons-experimental plugin package. Anyone who has installed compiz before knows it can be confusing so here, I will focus on installing 0.8.10 using the tarballs. Step 1) – Install Xubuntu 14.10 or your variant of *buntu based Linux distribution with sudo installed. If everything is working, then congratulations! You can add ’emerald’ (without quotes) to ccsm>Effects>Window Decoration>Command field so emerald starts when compiz does. If not, you can ask in #compiz or #northfield on irc.freenode.net using your IRC client or visit wiki.compiz.org. Enjoy! AUDIENCE: This information is targeted toward those familiar with Linux distributions and GNU open source software. INFORMATION: The compiled runtime executable files and libraries will be installed to /usr/ and icons for ccsm can be found in /usr/share/ccsm/icons/hicolor/scalable/. Emerald includes emerald-theme-manager which can be run from a terminal. 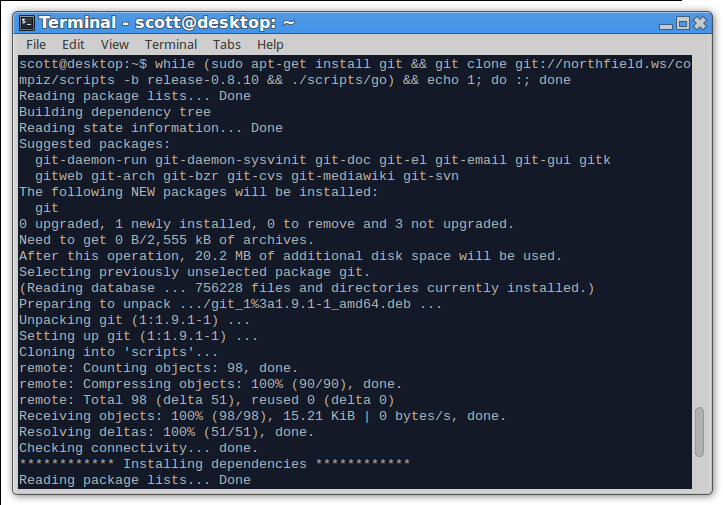 To remove, run ‘make uninstall’ in each of the source directories in ~/src/compiz/. DISCLAIMER: Not responsible for soggy corn flakes, mistreated kittens or spontaneously combusting laptops. Hello again. It’s been awhile and now it’s time for another blog post. Included are the details of a compiz maintenance routine outline and release schedule preview. 1) Take a snapshot of the preserved original C implementation of all compiz components (currently 0.8.9) including patches we’ve tossed in to keep things going, and make a release dubbed 0.8.10. 3) Work out obvious, easily fixable problems and consider small improvements, with a strong focus on defaults. 4) Make an eventual 0.8.12 release, when it’s ready. I am working on plugins-experimental, a collection of plugins that never really saw the light of day. Not only are these great plugins, but I would like to present this as a celebration of their works and contributions to compiz development throughout the years. Finally, I would like to thank all of the contributers, developers and testers alike, especially those that have worked hard to improve open source software we cherish today and will continue to use for many years to come. Here is a list of talented individuals, sorry if I’m forgetting anyone.